If you've gotten tired of swiping on Tinder, you can delete your account. Doing so is very simple. Keep reading to learn how to delete a Tinder profile completely. Simply deleting the Tinder app from your phone does not delete your Tinder account. 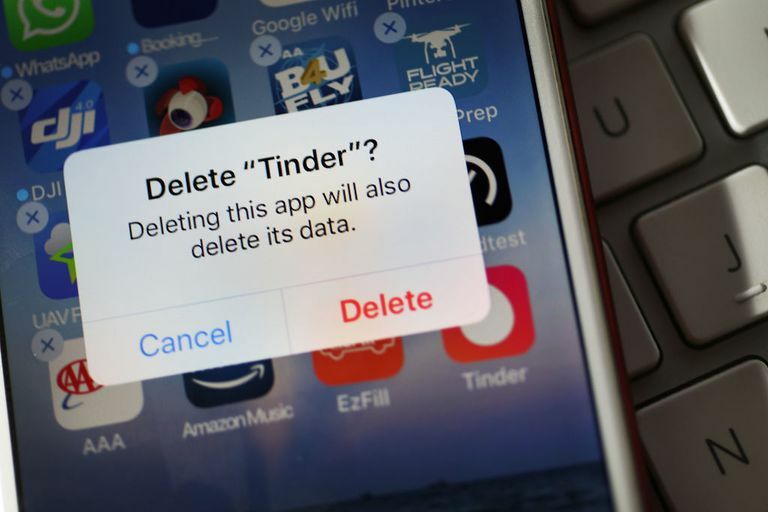 If you've already deleted your Tinder app, you have two options. You can reinstall the app, delete your account, then delete the app again, or you can delete the account via Tinder.com. If you have a Tinder Plus or Tinder Gold subscription you may have to cancel the subscription before deleting the account to prevent continuing charges. Go to the App Store on your iOS device, scroll down, then either tap your Apple ID or log in. Scroll down, then go to Subscriptions > Manage > Tinder. Either tap Unsubscribe or swipe the toggle to Off. Search for the Tinder app. Tap Tinder, then tap either Cancel or Unsubscribe. Tap your profile, then tap Settings. Scroll to the bottom of the settings page, then tap Delete Account. You'll be asked why you're deleting your account. Choose your reason and answer the follow-up questions, then confirm the action. Once you've deleted your account, you'll be redirected to the Tinder homepage. From here you can register a new account or delete the Tinder app. Many may be most familiar with Tinder through its mobile app, but you can also access Tinder through Tinder.com. If you've never logged into Tinder through a web browser, you can log in with your Facebook account if that's how you first registered. If you registered with a phone number, you'll have to input your phone number to receive a code via text. Input the code to log in. Once logged in and passed Tinder's web browser tips and tricks, you'll be able to see your matches and access your profile to the left. Scroll all the way down and select Delete My Account. You will see options similar to those on the app. Once you've confirmed your action you will be redirected to the Tinder homepage. Deleting the Tinder app on either iOS or Android devices is very similar. Most smartphones allow you to delete apps from your home page by long pressing the app icon. On iOS: Tap the X, then confirm the action. Tinder gives you the option to pause your account if you just need a break. If you just don't want to receive correspondence from Tinder for a while, tap Pause My Account when following the instructions for deleting an account via the Tinder app. Settings to pause your Tinder account.